Information we receive (when you provide it, visit EssentialOilsUS.com, receive email updates, or interact with official Essential Oils US presences on third-party sites). The “Contact Essential Oils US” form asks for basic contact information so we can respond to your request. We may ask for personal information from people applying to, registering for, or participating in a Essential Oils US event or competition. The originating Internet Protocol (IP) address. Information about your computer or mobile set-up (e.g., type and version of web browser, operating system, screen resolution, and connection speed). The pages on EssentialOilsUS.com that you visit. The internet address, or URL, of the website that connected you to our site, if you accessed EssentialOilsUS.com via a link on another page (i.e., “referral traffic”). The amount of data transmitted from EssentialOilsUS.com to your computer. Whether the email was opened. If a link in the message was clicked. Whether an email was delivered. If the email was forwarded. Essential Oils US maintains official pages or accounts on third-party websites in order to better engage with the American public. Your activity on those sites is governed by the third-party website’s security and privacy policies. Users of third-party sites often share information with the general public, user community, and/or the third-party operating the site. Consequently, you should review the privacy policies of third-party sites before using them and ensure that you understand how your information may be shared and used. You should also adjust privacy settings on your account on any third-party site to match your preferences. On Facebook, Essential Oils US automatically archives all content created by official Essential Oils US pages, content that tags an official Essential Oils US page, and any content posted on official Essential Oils US pages (for example, the number of likes to the page and comments posted). If you choose to provide us with information, we may use that information to contact you, respond to your message or petition, or provide you the information or services you requested. In order to serve you better, we may analyze multiple sources of data you have provided (for example, to look up whether you previously contacted Essential Oils US about the same topic so that we do not send you a duplicative response). We may also use messages or comments collected through EssentialOilsUS.com or official social media pages for our own purposes, such as to inform policy decisions or in public advocacy. Information you choose to share with Essential Oils US (directly and via third party sites) may be treated as public information. We may, for example, publish compilations of messages or comments collected through EssentialOilsUS.com or official social media pages. Within Essential Oils US, we restrict access to personally identifiable information to employees, contractors, and vendors subject to non-disclosure requirements who require access to this information in order to perform their official duties and exercise controls to limit what data they can view based on the specific needs of their position. EssentialOilsUS.com and other Essential Oils US platforms and pages may link to websites created and maintained by other public and/or private organizations and individuals. When you follow a link to an external site, you are leaving EssentialOilsUS.com and are subject to the external site‘s privacy and security policies. We do not control or guarantee the accuracy, relevance, timeliness, or completeness of information contained on an external site. We also do not endorse the site’s sponsor, any views they express, or any products or services they offer. Your activity on those sites is governed by the third-party website’s security and privacy policies. 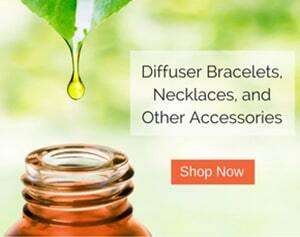 In some instances, a third-party website may feature embedded Essential Oils US content served by EssentialOilsUS.com. For example, other websites might embed EssentialOilsUS.com’s articles or product feeds. The embedded EssentialOilsUS.com content automatically generates Essential Oils US server logs and may set a Essential Oils US cookie. We believe in the importance of protecting the privacy of children online. The Children’s Online Privacy Protection Act (COPPA) governs information gathered online from or about children under the age of 13. Verifiable consent from a child’s parent or guardian is required before collecting, using, or disclosing personal information from a child under age 13. Our site is not intended to solicit information of any kind from children under age 13. If you believe that we have received information from or about children under age 13, please contact us through the Privacy Feedback form. We take reasonable precautions to protect our site and information automatically collected by EssentialOilsUS.com or voluntarily submitted to EssentialOilsUS.com or an official Essential Oils US page on a third-party site. For example, we restrict access to personally identifiable information to employees, contractors, and vendors subject to non-disclosure requirements who require access to this information in order to perform their official duties and exercise controls to limit what data they can view based on the specific needs of their position. Access to official Essential Oils US accounts on third-party sites is limited to the individuals who administer those accounts, and all official Essential Oils US accounts are clearly labeled. We also utilize commonly used practices and technical controls to protect the information in our possession or control, along with EssentialOilsUS.com itself. These practices and controls include, but are not limited to: encrypting the transfer of personal information over the internet via Secure Sockets Layer (SSL), using high-strength firewalls and intrusion detection systems (IDS) to safeguard personal information, and maintaining strict technical controls and procedures to ensure the integrity of all data on EssentialOilsUS.com. Internet Protocol (IP): A computer’s IP address establishes its location on the internet and allows other computers, such as those hosting EssentialOilsUS.com, to send it content and other information. Domain name: For example, “xcompany.com” if you use a private Internet access account, or “yourschool.edu” if you are connecting from a university’s domain. Cookies: A small piece of data sent from a website and stored in a user’s web browser while the user is browsing that website. Email client: The email client is the program used to access and manage a user’s email (e.g., Gmail, Outlook, Yahoo! ).